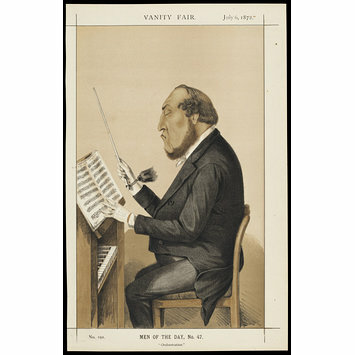 Portrait of Sir Michael Costa, published by Vanity Fair on 6th July 1872, Harry Beard Collection. This is number 47 in a series of portraits published by the magazine Vanity Fair under the title 'Men of the Day'. 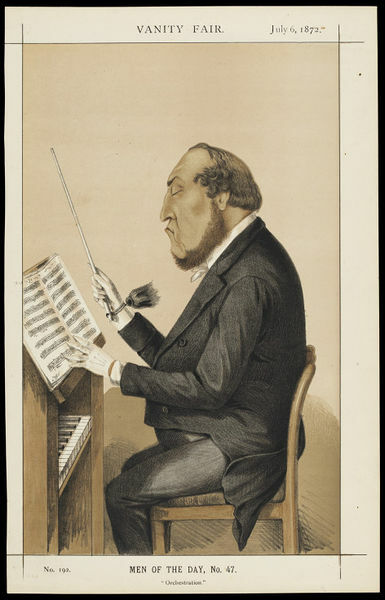 Three-quarter length portrait of Sir Michael Costa, conducting from the piano. The caption, 'Orchestration', is printed beneath the picture. The accompanying Vanity Fair article is attached. 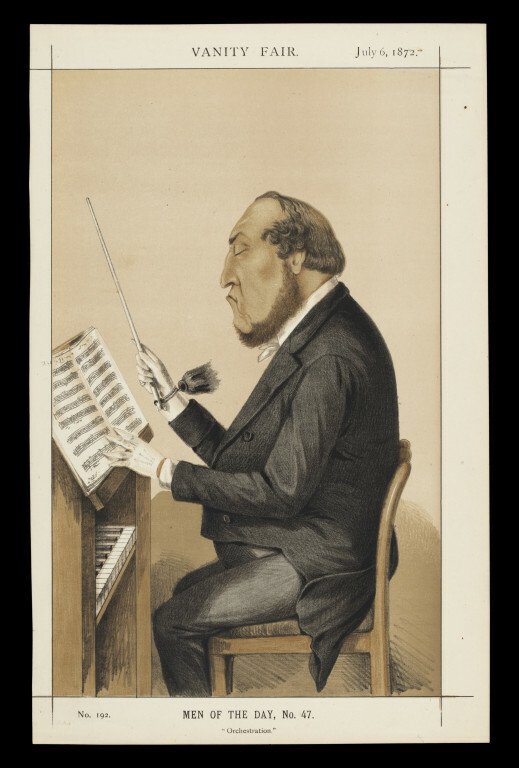 Portrait of Sir Michael Costa by Charles Lyall, published by Vanity Fair 6 July 1872, Harry Beard Collection.